The rosters for the All-Star Futures Game have been announced and the two top prospects in the SoxProspects.com rankings made the cut. Top-ranked Yoan Moncada will represent Team World and number two prospect Andrew Benintendi will represent Team USA. After signing a $31,500,000 signing bonus with the Red Sox in March 2015, Moncada has excelled in his first full season in the organization. Moncada recently earned a promotion to Double-A Portland after a stellar first half in Salem, where he hit .307/.427/.496 with 36 stolen bases. 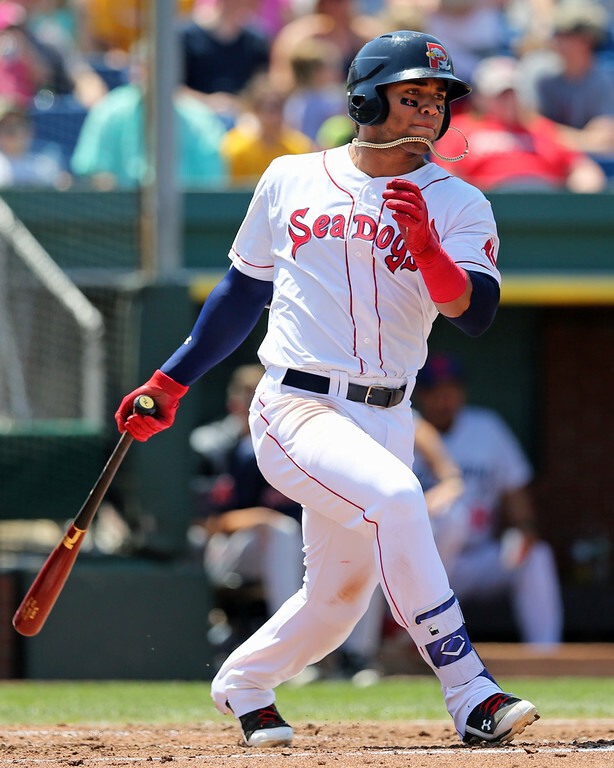 Through his first five games with the Sea Dogs, Moncada has hit .333/.333/.500 with one home run. Moncada is an athletic second baseman with the potential to be a true five-tool player. The switch-hitting Moncada has the potential for plus hit and power tools, though he is more advanced from the left side. He has great speed and a strong arm, though his glove currently lags behind the rest of his game. Benintendi is impressing in his first full season after being drafted with the seventh overall pick in 2015. Benintendi started the season in Salem, which proved to be no challenge for the 21-year-old, who slashed .341/.413/.563 with 13 doubles and seven triples in just 34 games. In 35 games since his promotion to Portland, he is hitting .268/.322/.420 with 10 doubles and three homers. It took Benintendi a couple of weeks to settle in against Double-A competition, but he is hitting .290/.350/.484 in June and appears to be adjusting to more advanced pitching. At the plate, Benintendi shows an advanced approach with potential plus hit and power tools. The well-rounded Benintendi is also a good runner, with 12 stolen bases this season, and a strong defender in center field. The Futures Game will take place on July 10 at Petco Park in San Diego.